As averred by Adv. 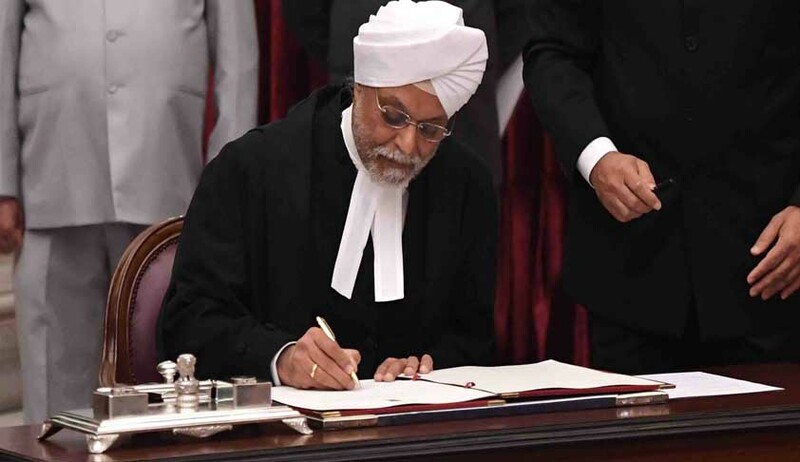 Namit Saxena in his article published in LiveLaw immediately after appointment of Justice Jagdish Singh Khehar as the Chief Justice of India, Justice Khehar has inserted few procedural changes in the Supreme Court. The Supreme Court from next week onwards will not observe the concept of ‘Non-Miscellaneous Day’, popularly termed as NMD in lawyer’s corridors. The Supreme Court works for 5 days a week with Monday and Friday dedicated to fresh matters and are known as Miscellaneous Days. This has not remained flexible and has fluctuated as per the CJI. Tuesdays have generally been observed as NMDs wherein after notice/adjourned matters are listed for hearing. Wednesdays and Thursdays have been generally designated for matters listed for final disposal. Justice Khehar has now done away with the concept of an NMD and on all 3 days regular matters will be heard. From now on, an Advance List of Fresh Matters to' be listed on Monday and Friday shall be uploaded on the Supreme Court Website on every Tuesday and Friday. On Tuesday, Wednesday and Thursday in addition to Regular Hearing matters, 10 After Notice short matters including Fresh Matters shall be listed and an Advance List of matters including Fresh Matters to be listed on Wednesday and Thursday and Final List for Tuesday shall be uploaded on every Saturday. Justice Khehar has also re-introduced the Social Justice Bench comprising of Justices Lokur and UULalit which will sit at 2 pm on every Friday and hear PILs and other related matters including environmental matters. Pertinent to note that as per the Supreme Court Rules, 2013, and Article 145 of the Constitution, the CJI is the administrative head of the judiciary and has ample powers to introduce or delete many procedural methods. In a welcome move at the bar, due to deletion of NMDs, it is hoped that the regular matters will be heard and disposed of quickly reducing the backlog and pendency on the Supreme Court. Justice Khehar has also indicated during a mentioning yesterday that the Supreme Court suffered from shortage of judges and he may increase the strength within a month. Justice Khehar has also indicated that he is a hard task master and has not been easy on advocates seeking adjournments.